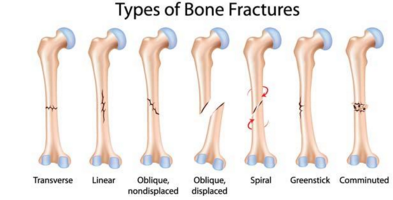 Fractures and Breaks – what’s the difference? 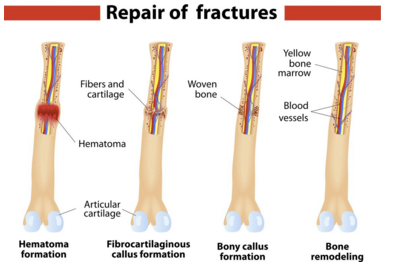 What’s the difference between fractures and breaks? It’s question not enough people ask! Simply put – a fracture and a break mean exactly the same. Both terms can be used interchangeably, meaning: a broken bone is in fact a fractured bone. Any loss in the bone integrity is considered a fracture, whether it’s visibly broken in half or just slightly cracked, a condition only to be spotted on an x-ray. Even though ‘a fracture’ can seem slightly weaker in meaning, it is in fact just as strong as ‘a break’ and they both can relate to the exact same state. People tend to consider a fractured bone a minor contusion whereas a broken one is usually taken more seriously. Once again – both ‘fractured’ and ‘broken’ can relate to either a thinnest split or a bone shattered-into-pieces. Semantically both terms are equal, the only difference being that ‘fractured’ can seem medical, whereas ‘broken’ is perhaps more colloquial. That being said, you shouldn’t necessarily associate ‘a break’ with a six-month-long cast period nor ‘a fracture’ with 3 days in bed. You should wait to hear the rest of the diagnosis before assuming too much. In our centers – Orthopaedic Surgery Associates in Boca Raton and Boynton Beach (Palm Beach county) we mindfully treat any bone-related condition you come to us with. Our experienced orthopedic surgeons will talk you through the whole healing process, from the initial diagnosis to rehabilitation and physical therapy, answering any of the questions you might have. A fractured/broken bone can be healed effectively and with no unnecessary pain when treated by one of our orthopedic surgeons in Boynton Beach and Boca Raton. All the orthopedic doctors you find in our centers are just that! If you’re fed up with poor care provided by other orthopedic surgeons and want to be treated by physicians of highest quality, contact Orthopaedic Surgery Associates today.